 Endodontic disease is defined as disease of the tissue inside teeth referred to as the pulp. In people, dental caries (cavities) are the number one cause of endodontic disease that often requires root canal therapy for treatment. 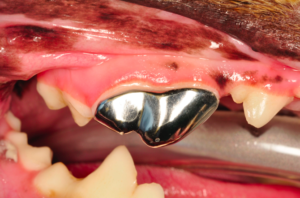 In dogs and cats, dental caries are uncommon but dental trauma resulting in fractured teeth and concussive disease of the pulp are common causes of endodontic disease requiring treatment. 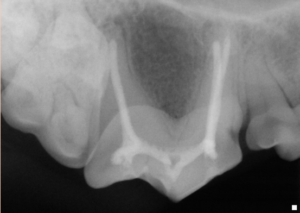 Endodontic disease can result in significant oral pain and decreased quality of life regardless of the clinical signs that pets may or may not show. Pet Dental Center can offer advanced endodontic treatments like root canal therapy, vital pulp therapy, apexification and hemisectioning (multirooted teeth) to salvage teeth with fractures and endodontic disease. 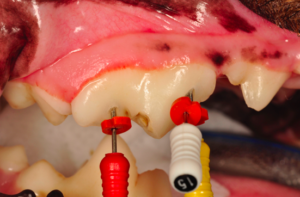 radiographs to determine if root canal therapy is an appropriate treatment option. These three pictures represent root canal therapy and full metal crown restoration of a fractured fourth premolar in a dog.